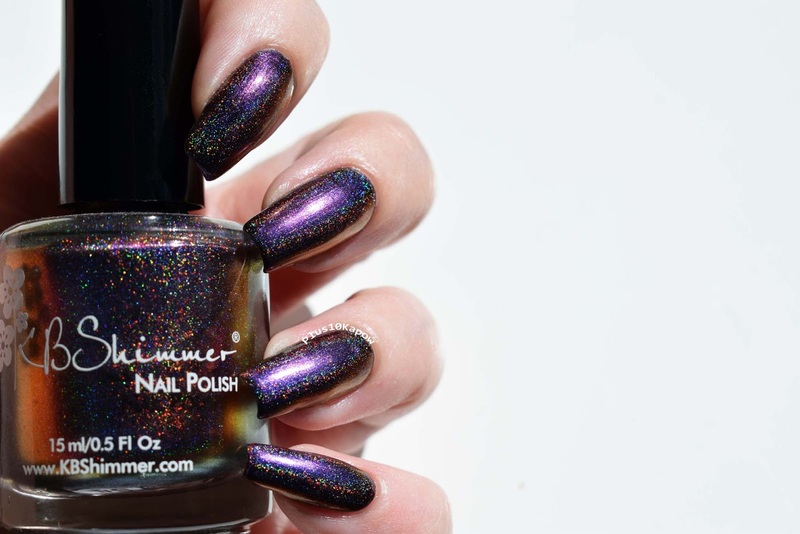 Do you remember when I swatched KBShimmer Pigment of my Imagination back in June? That gorgeous polish with an incredible shift was perfect but I did recommend Myth You Lots as a similar polish but for holosexuals, well, this is it! 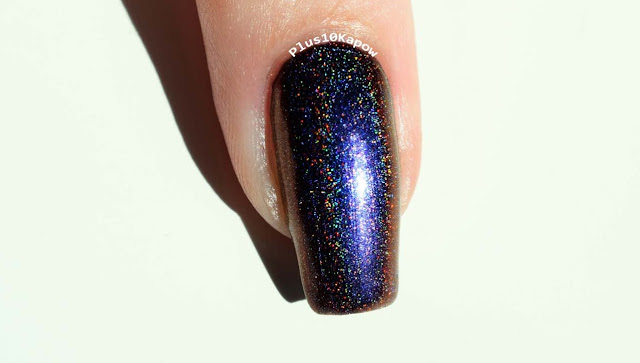 Similar in shift to Pigment of my Imagination, Myth You lots is a multi chrome with a strong, linear holo. When I say strong, I mean that the holo in this is absolutely phenomenal and it sent my camera into such a spin that it struggled to capture the multi chrome colour shifts underneath. Just look at it though. Sorry, watch your step, my sploosh is everywhere, by which I mean my drool, obviously hahaha. 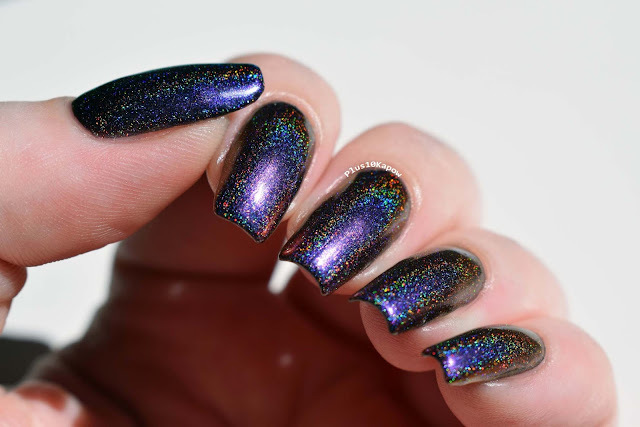 I used one coat of Myth You Lots over black and topped with one coat of Seche. It applies beautifully and dries quickly to a sparkly, shiny finish. Clean up is pretty easy but the holo glitters do end up everywhere, not that I am complaining, HOLO ALL THE THINGS!!! 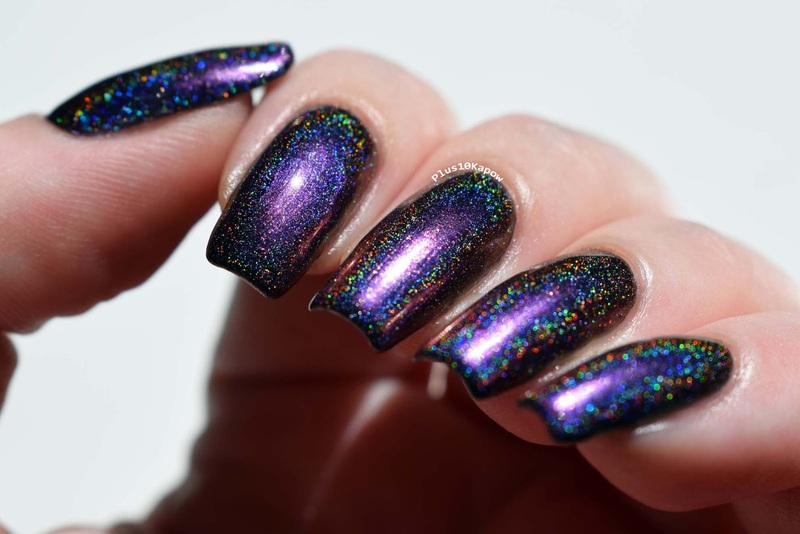 I would definitely recommend this polish if you're after an incredible holo but if you're after a fantastic multi chrome, then I would definitely go for Pigment of my Imagination just because the colour shift is a bit more obvious on the nail. I bought this from Harlow&Co for $12.50cad (not including p+p) and it's still available for all us international peeps or, if you're in the U.S. it's still available direct from KBShimmer.